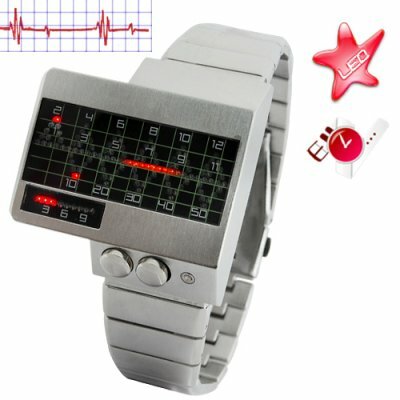 Successfully Added Alpha Centauri - All Metal Red LED Watch to your Shopping Cart. Everybody will look at you if you buy this watch! buy it if you want to stand apart, and be different from your friends ;) it's great as a gift too! Marvellous Watch.You definately will get Your Money's worth.Best Regards from Madrid,Spain. Excellent value for money! Shipping via air mail took exactly 15 days to America. No problem with custom taxes due to the amount declared and the fact that it was ony one product. FAJNY GADGET W SAM RAZ NA PREZENT POD CHOINKE. POZDRAWIAM ZESPOL CH.V. GOOD ITEM FOR GIFT UNDER CRISTMAS TREE. BEST REGARDES FOR TEEM FROM CHINAVISION.